Come explore Glens Falls real estate and apartment rentals! 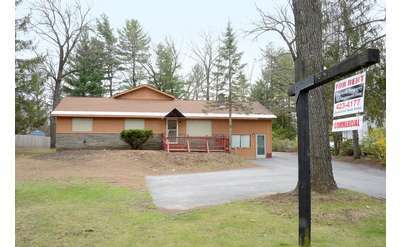 Whether you are looking for commercial properties, Glens Falls NY homes for sale, lots, land, apartment rentals, condos, or multi-family homes, GlensFallsRegion.com has got you covered. We can help you make your dreams come true, so start your search now! Glens Falls National Bank and Trust Company is Your Local Bank. First-time homebuyers look no further, Barbara Kenison of Coldwell Banker Prime Properties has over 15 years of experience to help you find the perfect home. She specializes in relocation, residential, foreclosures, condos and land. 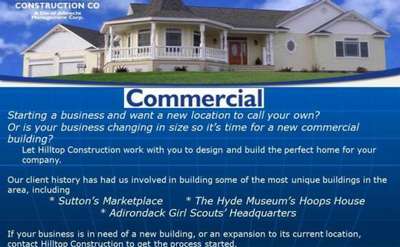 Hilltop Construction is a family run, full-service construction company, located just outside of Lake Geroge in Hudson Falls, NY. 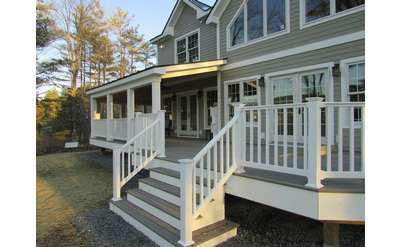 We have been a trusted builder in Glens Falls, Hudson Falls, Saratoga Springs and Queensbury for over 36 years. Before you call the Realtor, prepare your home to sell by staging it. Home staging is a process in which you take a house and present it in the best possible way, inside and out, to make it more appealing to potential buyers. 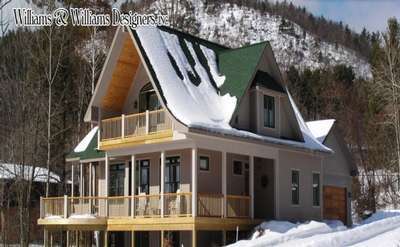 Williams & Williams Designers, Inc.
WILLIAMS & WILLIAMS DESIGNERS has been designing custom and semi custom homes of all styles since 1968. 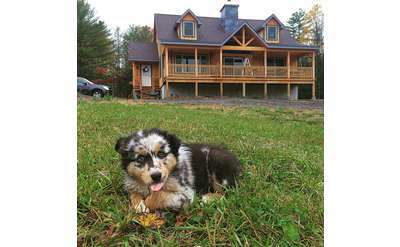 Designing homes has been a family tradition for three generations. Upscale residential apartments and office space with off street private parking in downtown Glens Falls. Just across the bridge in South Glens Falls, Water Tower Village boasts some of the area's largest and best maintained apartments, with 36 brand new two-bedroom apartments. Owns and manages apartments, multifamily, commercial, office, and hospitality properties in Warren, Washington, and Saratoga Counties and specifically offering office space and apartments for rent in the Glens Falls area. 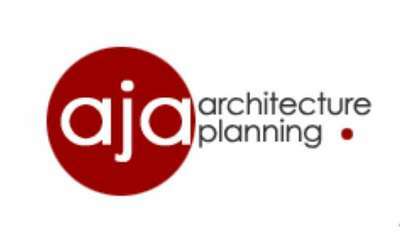 AJA Architecture and Planning focuses on resort, hospitality, commercial, and custom residential projects. We bring over 25 years of design and planning experience to every project. 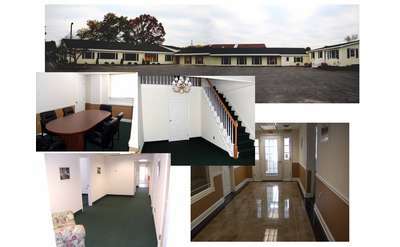 Sandy Hill Office Park in Hudson Falls, NY, is a commercial office building that is perfect for small businesses looking for a new office space or to expand. 333 Glen Street Associates are located in Glens Falls, NY. The areas largest inventory of 2 bedroom apartments, 2 and 3 bedroom townhomes, furnished corporate apartments and active senior apartment communities. Locations include South Glens Falls, Queenbury and Hudson Falls. All types of real property appraised. KONET ARCHITECTURE prides itself in providing professional guidance throughout the duration of a residential architectural project. As a sole proprietor, Reggie Konet, is in direct contact with her clients at all phases of design and construction. Conveniently located on Bay Road, Canterbury Woods is centrally located in Queensbury close to shopping, dining, entertainment & more. Amenities include washer/dryer hookups, full basements, dishwashers & more. Cats are allowed per approval. With a focus on customer satisfaction and making the home loan or refinance process as simple as possible, Saratoga Mortgage Co. is a great option for homeowners in Upstate NY. 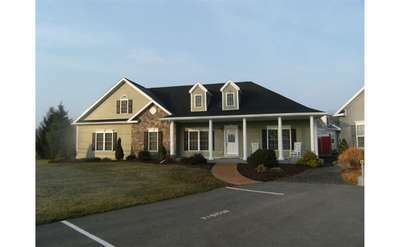 Richard E. Jones Associates Architects are located on Aviation Road in Queensbury. 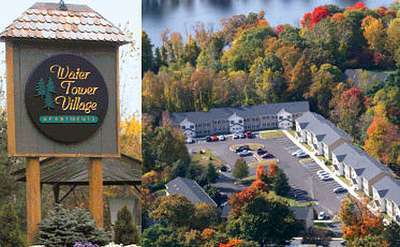 The Willows at Baybrook is a senior community located in beautiful Queensbury, NY. With spacious floor plans and classic designs, you'll feel right at home the minute you walk in. Pet-friendly. Let NBT Bank help you plan for your next record year. With three convenient locations: 86 Glen Street in Glens Falls, 110 Main Street in South Glens Falls and 242 Quaker Road in Queensbury. Baybrook Townhomes in Queensbury offer two and three bedroom, one-bath options and are leased through Schermerhorn Holdings. These homes feature full basements, 24-hour maintenance staff, patios, snow and trash removal and much more. JMZ has provided planning and architectural services to over 40 colleges throughout the Northeast and Mid-Atlantic regions. Bright, modern and beautiful, Turnberry Estates are Queensbury's newest energy efficient condominiums. With granite countertops, vaulted ceilings and hardwood floors, Turnberry Estates is like nothing else you've seen in the area. Over 10 years as a full time professional realtor in the Adirondack Region of Upstate New York. Our company has a wide range of expertise with agents handling residential, vacation homes, vacant land, commercial, business opportunities and farms. We are your professional, full service Real Estate Company. Welcome and thank you for visiting my Coldwell Banker Prime Properties Real Estate website. 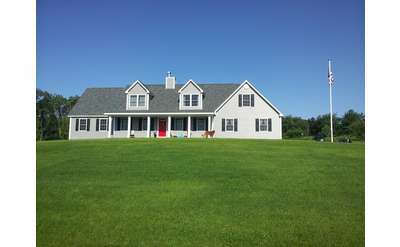 Glens Falls area and beyond real estate. RANKED #1 MORTGAGE LENDER for the past 10 years in the Albany Business Review. Licensed in 13 States. Call Today for a quick no obligation pre-approval. Licensed Associate Real Estate Broker for: Saratoga, Warren, Washington, Fulton and Essex Counties specializing in residential and commercial sales, land, investment, second homes and waterfront properties. Nestled in a thicket of tall pine trees, Whispering Pines Apartments are equipped with everything you need in a comfortable home. They have central air, wall to wall carpet and updated appliances. Pet-free means perfect for people with pet allergies. CB Richard Ellis - Albany focuses on traditional real estate brokerage of office, industrial, retail,investment and property management while specializing in research and marketing. Helping people buy and sell their homes is our business...but it's also our passion! Our Realtors will help turn your dream home into a reality! 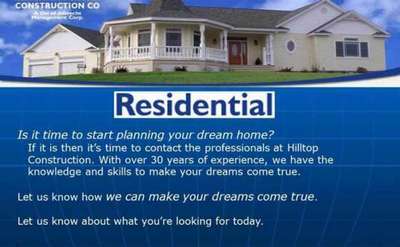 Contact us today and make your dreams come true. At All-American Properties, "We Do Things Differently!" Real Estate Services in Warren, Saratoga and Washington Counties Specializing in New Construction for Cerrone Builders, Residential Sales of Existing Homes, and Commercial Real Estate. Whispering Pines apartments in Queensbury are peaceful, pet-free and come with great features like ceramic tile in the bathrooms and ample closet space. Equitas Realty is an independent brokerage firm located in Saratoga County, servicing clients and customers from the Capital Region area to the Northern Adirondacks. Opportunities North LLC provides services to senior citizens in Queensbury, NY. Queensbury Gardens apartments are located on Rudley Drive in Queensbury, NY and offer two-bedrooms and one and one-half bath units with an average of 1,100 sf. Glens Falls Area Realty is a boutique real estate firm that focuses on Warren, Washington and northern Saratoga Counties. One of the largest, most resilient and accomplished contractors, The Pike Company has maintained its standing as one of the leading Builders with a rigorous focus on project management, work quality, and client satisfaction. Robert Sears of Prudential Manor Homes Realtors has over 23 years of experience in commercial brokerage. The Hunterbrook community offers 2 & 3 bedroom townhomes with basements and 2 bedroom garden apartments. Enjoy amenities like berber carpets, patios and optional central air. Cats are welcome - restrictions & fees apply. These townhomes offer 2 or 3 bedrooms, 1.5 baths, a basement or garage, washer/dryer hookups and modern kitchens for a comfortable home. Enjoy included trash & snow removal and optional central air. Hiland Springs is a pet-friendly community. Marla Willette/Howard Hanna Real Estate Services -"I'll help you feel right at home!" Considering a move-please give me a call. I will let you know how over 16 yrs experience and the #1 Agency in the area, will help you accomplish your goals. 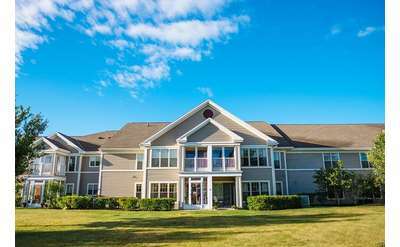 One of the National Church Residences, Solomon Heights is a beautiful, New England style senior living complex. It has safety features like controlled access and an emergency call system, as well as a game room and library for fun. Minutes from the action of nearby Lake George and Glens Falls, Meadowbrook Park Apartments are clean and modern, featuring a choice of tile or vinyl and berber carpet floors, and gas heating. Pet-friendly, fees & restrictions apply. Members of this award-winning team have been leaders in Lake Front sales for the past 15 years. 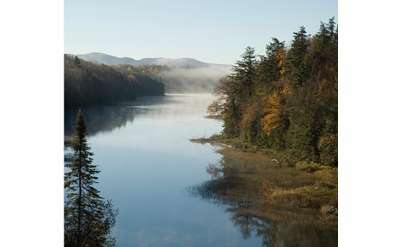 They are known for creative advertising, client satisfaction, and dedication to the preservation of Lake George. Now Is The Smart Time To Build! 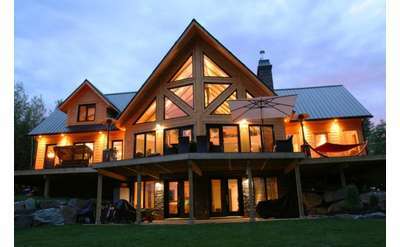 Trust your dream home to Northern Design & Building Associates, Ltd. Extraordinary designs - unmatched craftsmanship. Offering a wide range of financial products and personalized service, our aim is to free you from the worries of managing your money and the hassle of banking. Floor plans include studios, one- and two- bedroom apartments, and two- and three- bedroom townhomes. Gas heat, air conditioning and private patios or balconies available. Select buildings are pet-friendly. Designed with independence in mind, Cedars Senior Living Community puts an emphasis on enthusiasm for life and wellness through community events and at their Wellness Club. Residents can choose from four floor plans with either one or two bedrooms. The Mill of Glens Falls, one of the most unique apartment communities in upstate New York, offers 52 fantastic units fit to suit your needs, many with spectacular and sweeping view of the Hudson River and Adirondack Mountains. I'm a Licensed Sales Associate for Prudential Manor Homes in Queensbury. I'm also a Queensbury resident. 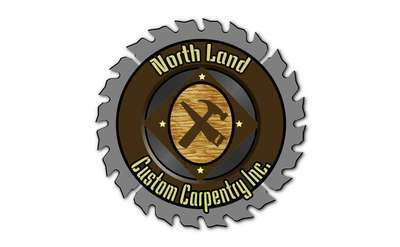 My business is focused in Warren and Washington Counties, but also the Capital District as I am originally from that area. Welcome to Coldwell Banker Prime Properties Glens Falls! Whether you are searching for the perfect home, selling your home, an investor looking to build your portfolio or interested in investing and need help getting started, we can help! Call today! Hello and thank you for visiting! I am a Licensed Real Estate Salesperson for: Saratoga, Warren, Washington, Fulton and Essex Counties specializing in residential and commercial sales, land, investment, second homes and waterfront properties. Northbrook Garden Apartments on Mallard Drive in Queensbury offer an on-site property manager, modern kitchens with lots of cabinets, washer and dryer hookups, and well-lighted parking and common areas. This community is pet friendly. Surrounded by beautiful professional landscaping, Robert Gardens North apartment complex features energy-efficient windows to keep you warmer during cold Adirondack winters, and a tennis court and swimming pool to enjoy in the summer. We live in a great location and I am proud to serve clients with their residential real estate needs. I am an associate broker at Howard Hanna because I firmly believe that is the best association for my clients. Contact me to plan your future. John Burke Apartments are subsidized by the federal governments HUD (Housing and Urban Development Division) for low-income families. Pinewood Village, owned by the Schermerhorn Real Estate group, features two- and three-bedroom, pet-friendly townhouses. Each unit has a patio, central air, dishwasher and other amenities. Stephen Borgos of Howard Hanna Real Estate Services can help you buy or sell a home! Owned by Morgan Communities, Olde Coach Manor Townhomes offer all the convenience of a private home with none of the maintenance. With central heat and air, generous garages and many custom options, you'll feel right at home. Pets welcome. More than 60 years ago, with a loan from his family and an office behind the kitchen, Donald A. Collins started the D.A. Collins Construction Company.